Piano Life Saver FAQs. The Dampp Chaser humidity control system is such a highly sought after device that it could be termed, ‘every piano owner's dream' and 'every piano technician's ally'. This climate control system ensures a piano's 'internal climate' is kept in excellent condition - even though temperature, weather, and humidity levels may vary greatly where your piano lives. What are some of the basics to using the Piano Life Saver system? Here are some of the most frequently asked questions to help us clear our reservations, and to make a more informed decision regarding the need and use of the Piano Life Saver System. 1. Why do pianos need the Piano Life Saver System? Piano owners, manufacturers, and technicians choose the Dampp-Chaser Piano Life Saver System because they recognize a piano will go out of tune faster and deteriorate prematurely without it. This is true as weather, temperature, and humidity levels are in a constant state of change. The Piano Life Saver System is a very convenient and easy method toward protecting your piano from the harmful effects of constant humidity swings. 2. 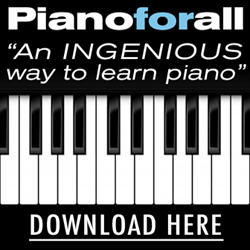 How do I know my piano needs the system? When the weather abruptly changes (wind, rain, cold, heat) the piano quickly goes out of tune. You are having a hard time distinguishing a clean and clear sound coming from your piano. The keys seem to be responding sluggishly, due to excessive moisture in the air. Sticking keys and other unusual, inconvenient changes in keyboard control. The piano tuner must give a pitch correction before he can perform a fine tuning on your piano. 3. How does the Piano Life Saver System work? The Piano Life Saver system normalizes extreme air movement. Through the use of a dehumidifier rod and special humidifier pads, relative humidity is kept at a constant level of 42%. To further improve the task, the signature Grand Undercover® or Vertical Backside Cover® may be installed with the System. For pianos used in theater or commercial purposes covers are necessary since greater air circulation in these places is considered normal. 4. Does the Piano Lifesaver offer a warranty? If yes, for how long and what does it cover? The Piano Life Saver comes with a five-year warranty, which includes replacement on defective Dampp-Chaser products although Humidifier Pads are not covered. Piano technician labor is not included. 5. Who do I contact if I need technical support? Should you encounter any problems with your Piano Life Saver which necessitates trouble shooting, feel free to contact the System installer. Visit The Piano Life Saver Systems' website and you will find all the necessary contact information you need to contact the company’s technical support group. 6. How and where do I order replacement pads, solution, and accessories? Use the links below to order replacement Dampp Chaser pads, solution, and accessories.